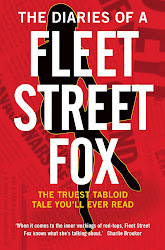 fleet street fox: Everything must go. IT'S a hard economic fact that when you run out of money you have to start selling stuff off. You go up to the loft and dig out that tent, admit the tennis racket would be better off in a new home and resign yourself to the fact that you will never make a very nice noise with that old guitar but it might get you £20 on eBay. Of course you have to be careful to sell the things you don't need or can't use, and not more important stuff like a kidney or a lung or your car which are likely to come in handy. If you're a government, you have extra reason to make sure you're not in the red but also to be careful about what you sell, because millions of other people may very well depend on the very thing you think is too expensive to run. Which is why pre-Budget plans to privatise some parts of the motorway and trunk road network are... well... to be expected of the same people who were trying to hawk our trees to the highest bidder not five minutes ago. After all, if you're used to having your own forest and a private road, why would you think those things should be free? Dishface's spin doctors have leaked that he is going to say in a speech we should open up the hard shoulder on major roads to 'aid economic recovery', which I suppose is more profitable than using it for ambulances and recovery of injured people, who can be a dreadful drain on resources. The country arguably isn't doing very well at maintaining our roads - you need only look at them to see that - so perhaps private business would do a better job. The Germans already own our electricity and the Chinese have the water, and thanks to the economic crisis there's no risk of the roads being bought the Greeks or the Spanish. Last time I was on a Spanish road the central reservation consisted of some chicken wire and scaffolding poles, one of which fell off and almost came through my windscreen. Mind you, if the Spanish took over the M25 it might become marginally safer. * Rain. Despite millennia of being surrounded by this plentiful resource Britons have conspicuously failed to turn a buck from it. Whoever finds a way to charge for rain will be a gazillionaire very quickly, but it does need some investment to become a viable business model. Legally the government would have to claim ownership of clouds and lease whatever falls from them to the contractor, who then charges householders and water companies for allowing it to drop. We would also get extra whinging rights out of this as we could blame a foreigner for making it rain, as well as for not making it rain. And let's face it, there's no point in selling our sunshine. * Wind. Traditional wind turbines don't produce much bang for their buck. I suggest a more reliable source of wind would be an army of Iain Duncan Smiths, which could be stationed on hillsides where no-one will have to listen to him and produce great gusts that could turn turbines day and night, in any weather. A salt-resistant version could be strapped to the White Cliffs of Dover to repel foreigners; this clone would be fuelled entirely by self-satisfaction. * Children. At present we pay £20.30 a week for a first child and £13.40 for additional children. We have further costs in terms of schooling and medicine, and of course their carbon footprint is extremely large. I suggest instead of paying parents we privatise the right to have children, thus ensuring only those who can afford to raise them in a government-approved manner can do so. Many firms have attempted to exploit children in the past, so for maximum revenue opportunities these contracts should be put up for auction on a regional basis and perhaps allow corporate sponsorship by firms such as Lidl and Asda in areas of poor people, who can breed on an approved basis in order to provide voters, customers and other fodder. * Kettles. Any attempt to privatise tea-making generally would be met with huge opposition and likely campaigns of civil disobedience, possibly even involving the drinking of coffee. However taxing kettle usage would enable the lucky leaseholder to turn a buck in every household at predictable times; advert breaks in the X Factor, for example, and whenever Melanie Phillips appears on Question Time. WARNING: This may lead to more Melanie Phillips. * The BBC. This national institution has been created over many decades' public investment, which makes it ripe to be flogged to someone else for a pittance. The Americans will probably want it, which on the plus side means we'd get to see Pride & Prejudice again, but in return Huw Edwards would turn into Rush Limbaugh. The Germans would want to assimilate it into their existing TV networks and the French would try to run it for a bit and then give up. The Italians would turn it into an inexplicable game show and the Australians would fill it with idiots, but if they pay us money then who cares? * The NHS. Oh, hang on... too late. See? There's loads of things you can sell, if you think about it. And that's without starting on the Royal Family, shoe leather, and breathing. The question, of course, is whether you really want to. How much have you got, sailor?